Today is the day, who is ready?! 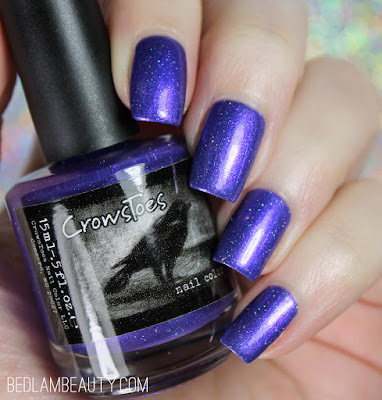 CrowsToes is back for Polish Pickup this month, and she has a glowing purple to end all purples. This one is inspired by the Power Stone from Guardians of the Galaxy, and it is practically perfect. This beautiful blurple is almost jellied and filled with holo dust, holo glitter, and purply microflakes. When I looked at other swatches and the bottle itself, I fully expected a thick creamy application...and I could not have been more wrong. It floats onto the nail, with a slight sheerness that lets the sparkly bits shine. And yet, I only needed two coats here for opacity. I've got a live swatch coming, so you'll see what I mean soon enough. Here is the inspiration image. And I think she nailed it. 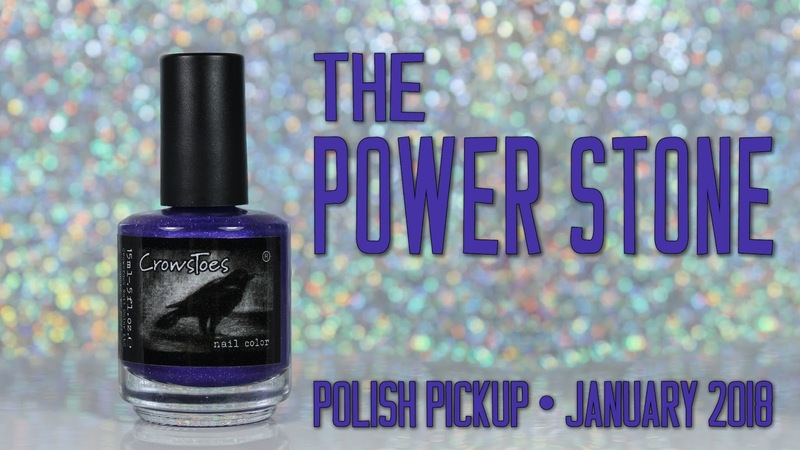 The polish photographs cool (like all blurples) do, but the pinky violet flakes give is a warm glow as you wiggle your fingers in natural lighting. It's one of those shades that needs to be seen to get the proper effect. Hilariously, I watched Guardians of the Galaxy for the first time just a few weeks ago. I thoroughly enjoyed the movie, though the beginning was a kick in the teeth I didn't expect. My kids liked it too, though they wandered off about halfway through. Wow, it also looks like ultraviolet, the color of 2018! That a great color! Kinda a blurple! Even though I promised not to buy more blues, I ordered this beauty. It's too pretty to pass up. I agree, she nailed the inspiration! What a great polish color! That blurple is giving me life! This is super pretty! I haven't worn many Crows Toes but I'm always impressed by them. This is just perfection! 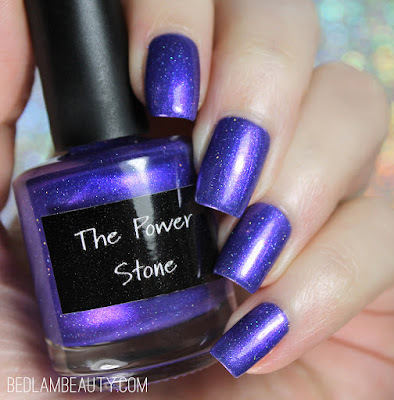 A super bright blurple like this is such a wonderful happiness-inducing eyecatcher, I love it! Gorgeous. Really impressive how it builds up with that second coat! Glowing purple awesomeness! I got one. I bought my first Polish Pickup polishes this week! I love this one, the color is so rich. So pissed I had to miss this month! This color is all that! !